KATHMANDU, Jan 18: Government officials have found some 'unequal provisions' in the contract agreement that the government signed three and half years ago with Nepal Purbadhar Bikas Company Limited (NPBCL) to develop Kathmandu-Kulekhani-Hetauda Tunnel Project. According to them, the contract termination clause in the agreement says that the government will have to pay compensation for all investments made by the company project as well as possible returns should the government choose to terminate the contract. But NPBCL can terminate the contract without any financial responsibility. An official of the Ministry of Physical Infrastructure and Transport, who is involved in assessment of the progress made by NPBCL, said the unfair provision can cause huge financial loss to the government. The official, who preferred unanimity, also said that the agreement also lacks any clear provision on forfeiting performance guarantee furnished by the developer upon non-performance. The caretaker government led by Khil Raj Regmi had awarded the project to NPBCL, which was led by former FNCCI president Kush Kumar Joshi, under public private partnership model in May 2013. But NPBCL missed two deadlines to meet financial closure. The project was scheduled to be completed in December, 2016. The estimated cost of the project is Rs 34.87 billion. "We will renew the agreement only after our concern is addressed. Similarly, the construction time has to be fixed in the new agreement," Madhav Karki, joint secretary of MoPIT, told Republica. "We want to put a clause in the agreement so that the government can forfeit performance guarantee is the developer's work is not satisfactory." NPBCL has posted a performance guarantee of about Rs 180 million. The agreement also lacks clarity on payment of royalty to the government. MoPIT has invited the company officials to discuss the agreement. Karki said that the developer will have to accept the new conditions if it wants the agreement to get renewed. The dream project of connecting Hetauda with Kathmandu by a 56-km tunnel highway was initially regarded as an attractive but ambitious project. But the developers have failed to mobilize funds to develop the project. In August 2014, NPBCL had claimed that Canadian company was Infrabanx Corporation was investing US$ 280 million in the project. But it turned out to be a hoax. It has been learnt that NPBCL failed collect equity investments of about Rs 7 billion (20 percent of total investment amount) for receiving loan investments. As per the NPBCL report of February 2016, NPBCL has so far collected only Rs 300 million. Its investors also include poor farmers of Makwanpur and Kathmandu districts. 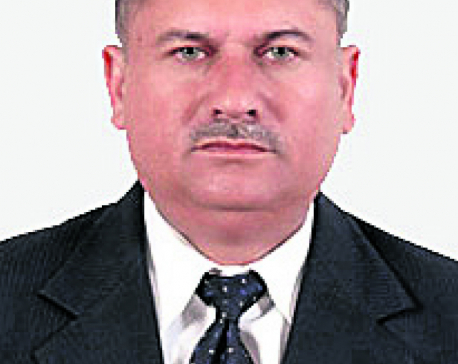 Bhawan Bhatta resigned from the post of chairman of NPBCL in less than 12 months of assuming office. Lal Krishna KC is the new president of NPBCL.